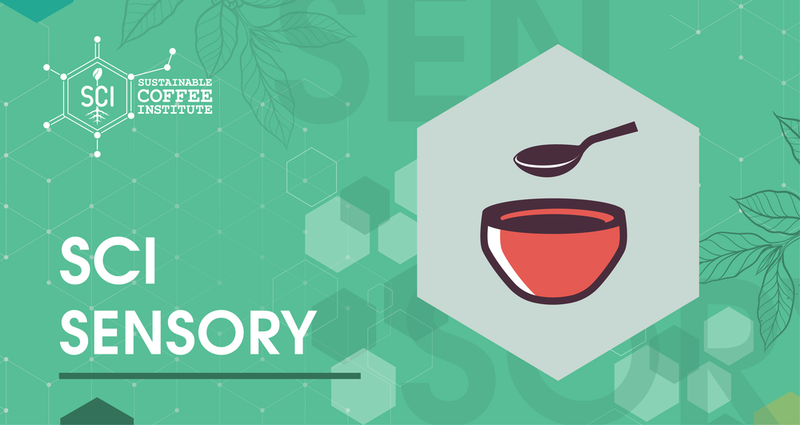 The Sensory module is geared towards the science and study of sensory perception to fine tune your use and consistency of certain attributes related to cupping coffee, including aroma, taste and tactile sensation. Throughout the levels students will build upon their ability, calibrate to their peers and learn how to cup -practicing with different origins, processing methods, densities, varietals and species, including Arabica and Robusta. All SCI Classes regardless of levels are usually last for 3 days. Day 1: Specialty coffee and sensory evaluation of quality. General physical inspection, roasting, brewing (water quality and temperature, extraction ratio), and SCI cupping protocols and standards. Day 2: Basic theory of aroma perception. Practice with aroma vials and descriptors. Identification of basic tastes (sugars, organic acids, salts, bitter and umami) and calibration on intensity and quality (modulation). Day 3: Introduction and informal exercises of affective, discriminative and descriptive cupping of the same coffees. Cupping tutoring. Learning the SCAA cupping protocols and format. Cupping tutoring using the SCAA format and sharing descriptors. Cupping different origins (defining flavor profiles) and basic processing methods (naturals, washed, honeys). Day 1: Introduction, coffee history and market trends. Specialty coffee and sensory evaluation of quality. General physical inspection, roasting, brewing (water quality and temperature, extraction ratio), and review cupping protocols and standards. Physical inspection and grading systems. Odor, color and homogeneity, shape, size, moisture content and drying quality, density, and grading. Day 2: Chemistry of aroma precursors in coffee and their role in flavor integration. Practice with aroma vials and descriptors. Calibration in intensity and complexity of fragrance-aroma and use of aroma descriptors. Theory and practice of aromatic taints and defects. Theory of taste precursors; origin, perception threshold and taste dynamics. Identification of 5 basic tastes and calibration on intensity and quality. Taste modulation theory and exercises. Theory and practice of texture. Flavor modulation by polyphenols and fats in coffee. Day 3: Review SCAA cupping protocols and format. Cupping tutoring using the SCAA format by stages and sharing descriptors (not scores). Cupping different processing methods (naturals, washed, honeys; fermentation types and times; drying technologies and temp.) and different species, improved catimor hybrids and Arabica varietals. Cupping skills testing: precision (finding the right grade), calibration (deviation from the group), consistency (scoring the same sample consistently), spread (save cupping) and defect detection. SCI Sensory Level 3 offers 2 tracks to help you hone your skills and learn more of the science behind your job. Day 1: Overview current market trends. Overview of sensory evaluation of quality and different systems used (SCAA, COE, SCI). Physical inspection and grading systems. Odor, color and homogeneity, shape, size, moisture content and drying quality, density, grading (classification and counting of defect). Table of defects. Grading formats and classification systems (examples from Brazil, Colombia, Guatemala and other countries). Day 2: Cupping and results discussion of different in-depth/research processing methods (naturals, washed, honeys; fermentation types and times; drying technologies and temp.) Cupping different species, improved catimor hybrids and Arabica varietals as well as an in-depth Robusta component, with some discussion of other species (Liberica, Excelsa). Day 3: Roasting theory and sample roasting protocols. Cupping different roast profiles based on degree and time. Involves an in-depth look at how to apply sensory applications in making successful business decisions.